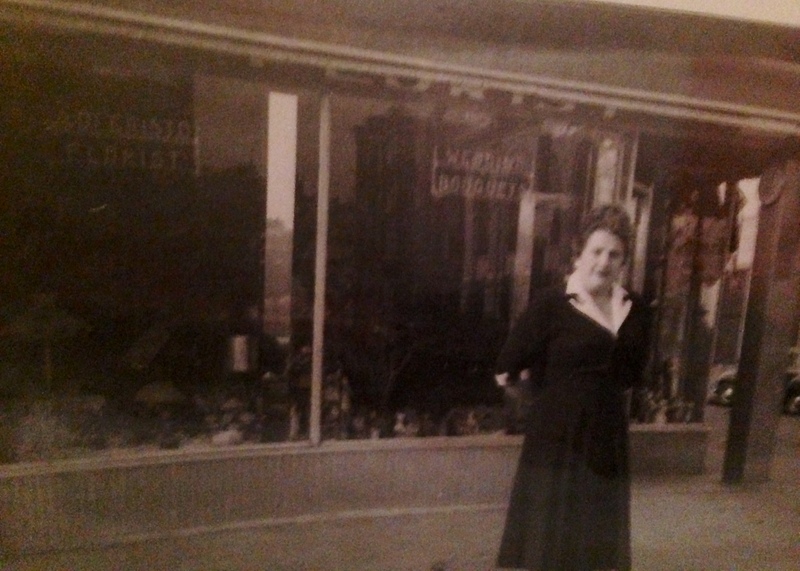 It was clear to the neighbors why Assunta, the hard-working Italian immigrant grandmother, was standing on a Brooklyn sidewalk in a bright red dress, patiently waiting for the funeral procession to pass by. They knew the story of how he had treated her. They knew of the hardship. They knew all about the lies and the abandonment. Salvatore said goodbye to Torre Del Greco, near Naples, in 1907, promising to get a good job in America and send for his wife and two young children. He was going to make a killing there and bring his family to him with great fanfare, to show off his new riches. He knew he would get violently seasick but he didn’t care. The trip across the great ocean was only the beginning for Sal, part one in his many-layered plan to be a wealthy, fat-cat American. Assunta watched as the ship got smaller and smaller and finally disappeared over the Tyrrhenian horizon. Her hopes for a good future were on that ship. Her dreams of a shop in Brooklyn, food on the table, an education for her children, all sailed west with Sal. Three years went by. The letters from New York had stopped arriving by post after the first few months. They had had no word for far too long. The silence pressed on them. They were struggling. They didn’t know what to do. Finally, they scrounged up enough money to send the boy, Alfredo, across the ocean to find out what had happened to Sal. He was barely 16 when he boarded the long, sleek liner to sail west and find his father. With a sack full of bread and some chestnuts, he accepted the kiss on his cheek from his beautiful younger sister Aida and climbed the gangplank, only to be told immediately, by a compatriot in a gleaming white uniform, to head straight down to steerage in the belly of the ship. From Brooklyn, Alfredo wrote to his mother and sister right away. He had sailed the ocean safely, seen the giant green lady and her welcoming torch in the New York harbor, and found the distant cousins in a cold water walk-up right where his mother had promised they would be. They had taken him in, found him some odd jobs, taught him some English and told him where he might begin his search for his wayward father. They were related to Assunta, these distant relatives, and so they willingly helped her son as much as they could, but they wanted nothing to do with the stories about her husband that they had heard whispered through the snapping laundry lines and stoop gatherings, in various Italian dialects throughout gritty brownstone Brooklyn. When the telegram arrived in Torre Del Greco, it would have been better, Assunta believed, if the news from Alfredo had been that Salvatore was dead. Instead, she read about her philandering husband, his new wife and the new family he had started in America. Telegrams were expensive so the last, curt line told her to expect more information in a letter soon. The letter eventually arrived to provide the details of the story. Salvatore did not get rich. He was not a fat-cat. He had pawned his narrow wedding band and pretended to be single. His new wife knew nothing of the family he had left behind, in a small, hilly village near Naples. Alfredo also said not to worry, that, as horrible as their situation was, he would fix it. That he had been saving money working long hours at his many jobs and would soon have enough put aside for his mother and sister to make the journey west. He promised to send for them soon. And by the time he was 18 and his sister 14, he did. The crossing was scary for Aida and her mother. Just months before, the impossible had happened and the great Titanic had sunk to the bottom of the Atlantic. Thousands of people had perished. Alfredo had tried to calm them by telling them there would be no icebergs in the summer. Still, they worried and prayed the whole way over. After six days, they, too, saw the beautiful and beckoning green lady and the skyline of Manhattan. Alfredo waited as they made their way through Ellis Island, hoping they were healthy and would be welcomed to the country he now called home. Once in Brooklyn he proudly showed them the small apartment he had been able to rent for the three of them by working hard and saving every penny he earned. And now that there were three of them earning and saving, soon there was enough to open a small florist shop on the corner of President Street and 4th Avenue. The seasons flowed as they normally do, slowly at first and then suddenly zipping by with the pace of happy, fulfilling lives. Alfredo joined the Army and was sent south to Alabama. Aida married a Sicilian named Baldessaro and immediately became pregnant with the first, Josephine, of what would eventually be ten children. Influenza struck and word came from Alabama that Alfredo was one of the world’s more than one million victims. They sent for the body and buried him in his beloved Brooklyn, where fresh flowers from the shop graced his grave every week. They knew they owed everything to Alfredo and they promised never to let his plot go bare. The whole time she had lived in Brooklyn since coming over from Italy, Assunta had been receiving news about her philandering husband and his new family. She knew where he lived, where he worked, how many children he had, how often he visited the neighborhood saloon. She wanted nothing to do with him. A weaker woman might have marched up to him that first week, to spit in his face and unleash a stream of choice Italian curses his way but Assunta chose quiet dignity over revenge. When she learned, though, shortly after the untimely death of her beloved and hard-working son, of Salvatore’s demise, her integrity quickly unhinged and she hatched a plan. In those days a funeral procession always rolled slowly past the home of the deceased. Assunta knew, of course, exactly when the funeral would occur. She dressed all in red, wore more and brighter makeup than was her simple custom, took a folding chair to Salvatore’s block and waited. When the black hearse turned the corner and slowly approached, Assunta calmly stood. They saw her, his illegal wife and his new, now grown up children, from the second car in the line as it inched down the block. What they didn’t see until the very last second was the giant salami. Assunta swung it from behind her back and, just as they were passing, took a giant, very deliberate and animated bite from one end. No words were exchanged. No curses. Just that one big bite. Assunta was, after all, a strong Neopolitan woman.